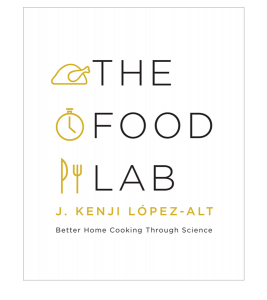 In The Food Lab, J. Kenji López-Alt focuses on the science behind beloved American dishes, delving into the interactions between heat, energy, and molecules that create great food. Kenji shows that often, conventional methods don’t work that well, and home cooks can achieve far better results using new―but simple―techniques. In hundreds of easy-to-make recipes with over 1,000 full-color images, you will find out how to make foolproof Hollandaise sauce in just two minutes, how to transform one simple tomato sauce into a half dozen dishes, how to make the crispiest, creamiest potato casserole ever conceived, and much more.